The Rough Rider is the creeper of choice for farmers, truckers, police, RVers, off-roaders, military technicians, auto enthusiasts, aircraft maintenance techs, and anyone else who have been forced to get outside and under vehicles in less than ideal situations. They like to call it the off-road creeper". The extra wide 1-3/8" tires resist sinking in soft surfaces, and their large diameter allows them to roll easily over dirt, broken pavement, grass or even gravel with a firm substrate! The shrouded wheels also won't catch your hair and clothing! The 400 pound capacity, ALL AMERICAN Rough Rider is the number one choice for mechanics that need a go anywhere creeper to get the tough jobs done. Preferred by police and military! Will not tip you over! The Rough Rider Mechanics Creeper The Rough Rider is the creeper of choice for farmers, truckers, police, RVers, off-roaders, military technicians, auto enthusiasts, aircraft maintenance techs, and anyone else who have been forced to get outside and under vehicles in less than ideal situations. They like to call it the off-road creeper". The extra wide 1-3/8" tires resist sinking in soft surfaces, and their large diameter allows them to roll easily over dirt, broken pavement, grass or even gravel with a firm substrate! The shrouded wheels also won't catch your hair and clothing! The 400 pound capacity, ALL AMERICAN Rough Rider is the number one choice for mechanics that need a go anywhere creeper to get the tough jobs done. The Rough Rider Mechanics Creeper is rated 5.0 out of 5 by 5. Rated 5 out of 5 by Wins from Rough Rider Creeper An excellent creeper well worth the money. Love the big wheels. 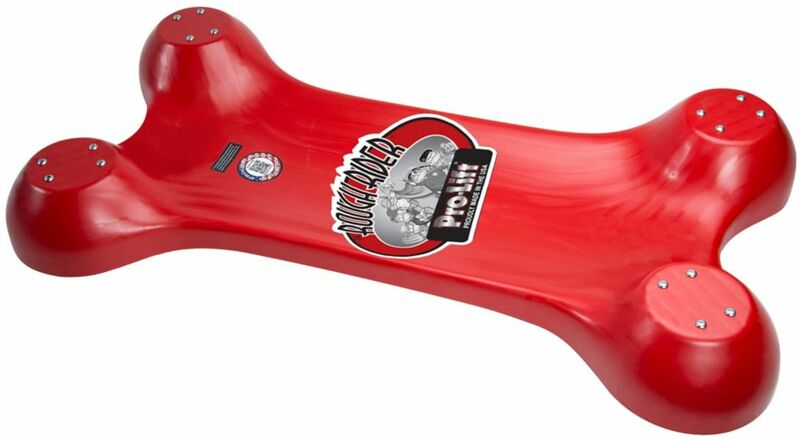 Rated 5 out of 5 by Rjjj from Smooth ride I have used this several times and love it. Runs over rocks and dirt. Rated 5 out of 5 by jonathan from Great features! I got this creeper for Christmas. It is a great product! Wheels move easily! Wish it had a head rest. Rated 5 out of 5 by Jeep guy from Solid and works on a messy uneven home garage Bought it because my home Garage often has grit and there is a crack that runs diagonally. This unit balances a low profile with large wheels that roll over anything. It's very well built.